Johnnie Alexander has become one of my must-read authors! 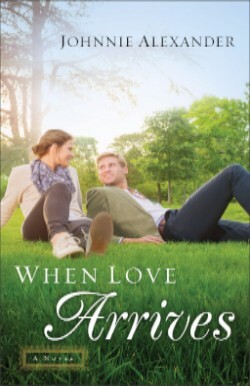 I loved book #1 in this series and I loved "When Loves Arrives" just as much or more! Dani is set on getting revenge, but didn't count on her heart becoming involved in other ways as well. Brett is struggling to get over past hurt and is trying to make changes in his life. Both Dani and Brett are keeping secrets and they might be too big for them to overcome or not. This book is impossible to put down once you start reading! The characters are so real and the story is full of romance, heart, and heartache making it a rollercoaster read that keeps you turning page after page. The storyline flows so nicely and I cannot wait to read what Johnnie writes next! "Mattie's Pledge" is the 2nd book in Jan Drexler's Journey to Pleasant Prairie series. 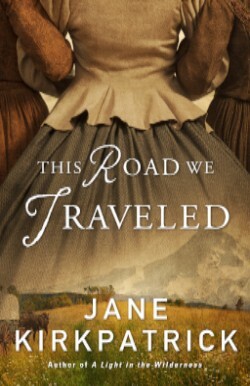 Jan takes us back in time to the mid 1800's and an Amish community. Mattie Schrock is a restless soul and isn't sure if she wants to stay with her family in their new Amish settlement as there is land and adventure awaiting further West. However, she reconnects with Jacob and he is ready to settle down. What is Mattie going to decide to do, follow her adventurous side and travel with an Englisher or follow through with her pledge and stay with Jacob? Jan has done a great job with recreating this time period and the trials and hardships that came along with moving and settling in the unknown and undeveloped land. However, she also addresses issues that are relatable today as we are forced to make choices as far as moving, making changes in our lives and choosing in the matters of the heart. I love the line on the back of the book: "When she feels the pull of both home and the horizon, which will she choose?" This drew me to picking up the book and once I began reading I was hooked. I highly recommend reading book #1, "Hannah's Choice," first! With her signature attention to detail and epic style, New York Times bestselling author Jane Kirkpatrick invites you to travel the deadly and enticing Oregon Trail. Based on actual events, This Road We Traveled inspires the pioneer in all of us. I really enjoyed this book! Jane Kirkpatrick does an incredible job with bringing this historical time period and significant journey to life. Tabitha makes such a great main character as she is such a strong woman, yet that does not mean that she is fearless and without her misgivings. Tabitha has her moments of questioning God and at times struggles with the fact that God can be leading her on this journey with so many trials and hardships, which is not unlike any of us today as we all have our moments of questioning God's plan especially in the midst of pain and suffering. This is a great read of anyone who enjoys history and having it brought to life in such vivid descriptions and characters whom can be empathized with. "All is Bright" is a great resource for the whole family leading up to and celebrating the Christmas season! Beginning December 1st and going through December 31st there is a devotional page and a coordinating black and white coloring page for each day. Some of the coloring pages are very intricate designs while others have room to write in amongst the drawing. The second part of the book is filled with activities geared for the entire family to help instill the Biblical truths and values that are usually highlighted during this time of year. There are also coloring pages more suited toward children with bigger designs with less intricate details. I am so excited to begin using this with my children beginning December 1st and create this new tradition with them to celebrate the Christmas season and the birth of Jesus..
To learn more about this coloring devotional book, go here! · Tyndale’s Inspire Creativity board on Pinterest has downloadable samplers and sharable coloring pages from our coloring and Bible journaling line, the Living Expressions Collection! · Check out www.livingexpressionscollection.com for the latest news and information on our coloring and journaling products. 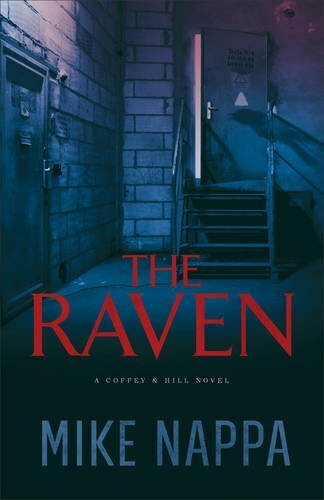 Mike Nappa brings back Private Investigators Trudi Coffey and Samuel Hill in his second Coffey & Hill novel, "The Raven" and if you thought book #1, "Annabel Lee," was difficult to put down then you are going to love "The Raven!" I love how Mike begins this novel with a few pages in the "now" and then he takes you back to 4 weeks earlier. My interest was piqued on the very first page and then I was left hanging and then taken back to weeks earlier to hear about the story from the beginning and bits and pieces were shared completely drawing me into the suspense and drama. Samuel and Trudi have a tumultuous relationship, and yet they make such great partners and have each other's backs (I would seriously want both of them on my side in any kind of issue!). I highly recommend you read book #1 if you haven't as you will get the background on this couple and their saga continues in this book. The Raven is another fascinating characters and my heart aches for him, a kid living this life. I completely enjoyed the suspense, the twist and turns, the characters and the vivid descriptions that are all woven together to make such a fascinating read. I highly recommend this book for fans of suspense! "The Christmas Angel Project" is this year's Christmas novella from Melody Carlson and it is another excellent book just like her previous ones! Four women, with their own lives and struggles and joys, all share something, they are a part of a book club, however their leader just passed away. Thinking this is the end of their group they are surprised when they each receive a heartfelt and personal gift. This gift is so much more than a gift as it leads them to becoming Christmas Angels for others. This is such a beautiful and heartwarming story, I could not put it down once I started reading and this is a story that will stay with me for such a long time I'm sure. Melody has created such wonderful characters, and a story with an inspiring message that is sure to touch all readers' hearts. I highly recommend this book to everyone to jump off the upcoming Christmas season. This will put everyone in the Christmas spirit and encourage everyone to really live out the true meaning of the season. Learn how to live a fruitful life in Christ-with a fairy tale and ten Bible verses! This was just a great read! 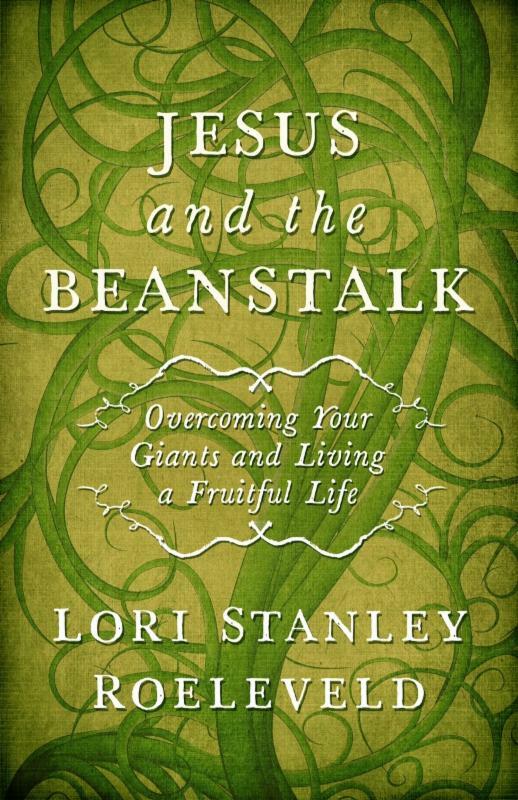 I honestly was not sure what to think about this book when I first heard the title, "Jesus and the Beanstalk." However, once I received the book and began reading, I was completely hooked and found the book to be incredible! Lori discusses and draws parallels from a well-known fairytale, Jack and the Beanstalk, to our own lives and ties it in with Biblical truths from the book of 2 Peter. Each of us has giants in our lives, giants of different kinds, but giants just the same that need to be confronted and defeated. There are 8 truths or characteristics that can help each of us with defeating these giants in our lives. Each of these truths is discussed in depth as far as the Biblical aspect and how God gives these to us, but also how the Jack and the Beanstalk story can be tied in with it helping to further get the point across. I have to say I see that story in a whole new way now! My favorite features of this book is how the chapters are ended with a "small steps toward slaying giants" section and also a "one stone for your sling" inspiring quote. 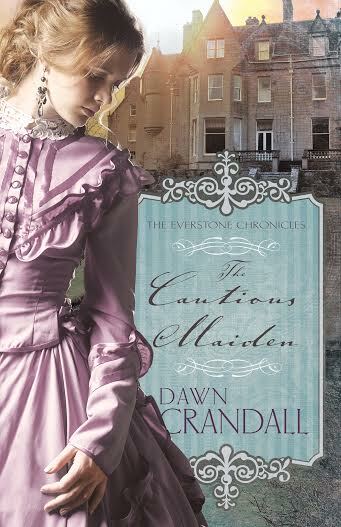 "The Cautious Maiden" is the 4th historical romance novel in Dawn Crandall's The Everstone Chronicles series and it is a must-read for fans of this genre! Description: In this historical romance set in nineteenth century New England, Violet Hawthorne is forced into an engagement with a taciturn acquaintance - Vance Everstone - in order to salvage her good name. However, with danger stalking her and tis new fiancé who hides both his emotion and his past, Violet must decide who to trust - and who to leave behind. I absolutely loved this book (and this entire series!) and was eager to finish to find out what happens, but then I was sad to be done with no more to read! Violet is devastated when her brother shows up with a new friend and they do something horrifying and it is clear that her brother is not going to protect her. This is just the beginning for Violet of romance, danger, stalkers, and the high society life. Violet's name and life is surrounded by scandal and Vance aims to remedy that by proposing marriage and Violet is taken back that this family will accept her and her sullied name. Before the wedding can take place, Rowan is determined to cash in on his win, his win being Violet. Violet is forced to decide who to trust, who has her best interests at heart and the path she really wants her life to take. Violet is such a great main character and one whom I found myself empathizing with throughout the entire book. Dawn does an incredible job with character development, creating vivid scenes and mixing suspense and romance. 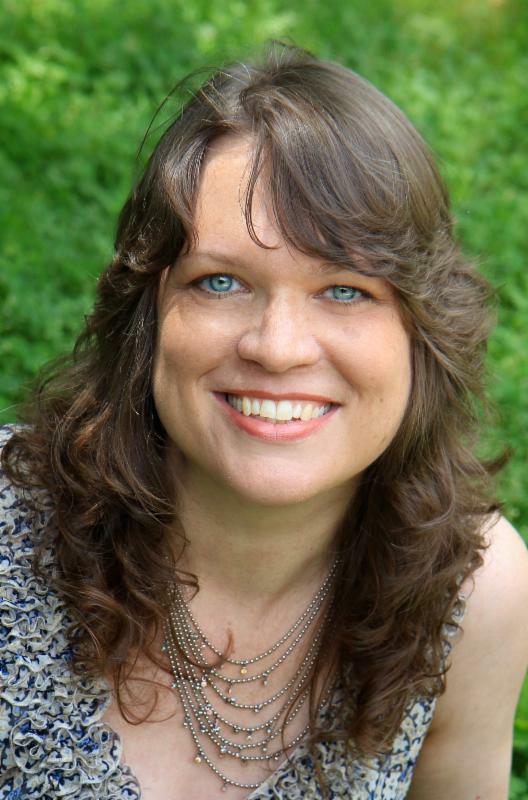 Dawn's previous novels in this series are "The Hesitant Heiress," "The Bound Heart," and "The Captive Imposter." "One Small Donkey" is such an adorable story with a great message for kids (and adults!) of all ages. The little donkey is small and not as fast as he wants to be, but he has such an important responsibility as he is transporting Mary whom is great with child to Bethlehem and then is there for the birth of Jesus. This is such a nice hardcover edition with vibrant illustrations and rhyming test which is so catchy and will hold even a young child's attention. This is a story that is sure to become a beloved Christmas story each year. God calls us as parents to be key disciple-makers in our children's lives, but if we're honest, some days it's a battle just to get them dressed and ready for school on time. How can you mold their hearts when sometimes you can't even find their shoes? 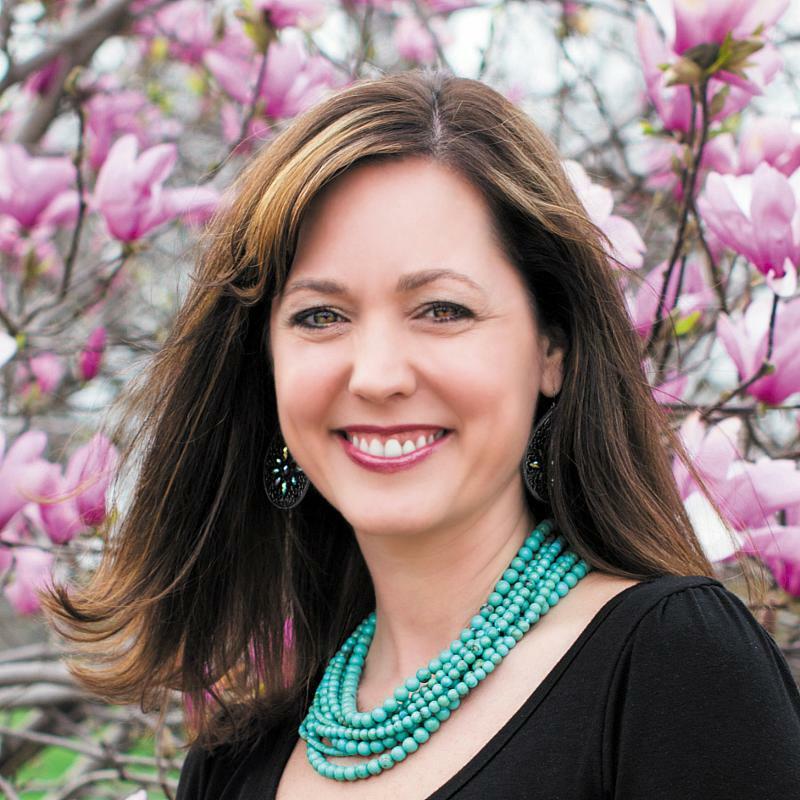 Melissa Spoelstra is a popular women's conference speaker, Bible teacher, and writer who is madly in love with Jesus and passionate about helping women of all ages to seek Christ and know Him more intimately through serious Bible study. She holds a Bachelor of Arts in Bible Theology and enjoys teaching God's Word to diverse groups and churches within the body of Christ. 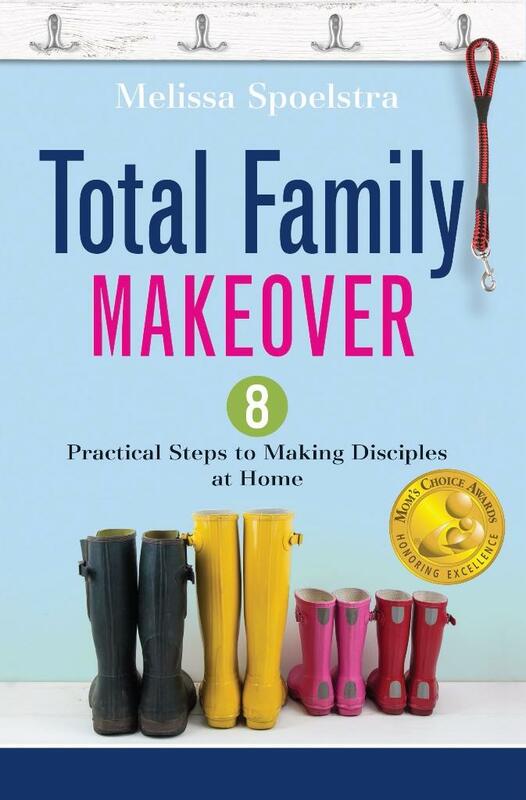 She is the author of the First Corinthians: Living Love When We Disagree, Joseph: The Journey to Forgiveness, and Jeremiah: Daring to Hope in an Unstable World Bible studies and Total Family Makeover: 8 Steps to Making Disciples at Home book. She lives in Dublin, Ohio, with her pastor husband and four kids. I really enjoyed this book, it was eye opening and also a gentle reminder to enjoy these moments of raising my children and not being too hard on myself. 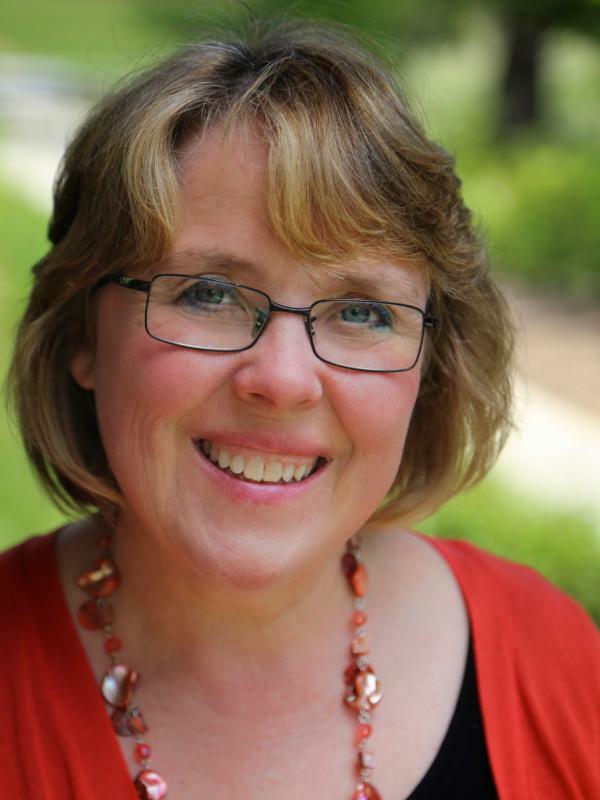 Melissa's book focuses on molding, and raising children to live their lives as disciples of God. This book is divided into eight sections, each focusing on a key habit. One is growing through mentoring and another is serving others. I found that the Sarah covered so much in this book, but I didn't feel overwhelmed while reading it. Instead I felt encouraged to train my children and to allow myself to seek out guidance from others. I really liked how Melissa stressed the importance of mentoring at all stages and this chapter was probably my favorite in the book, as it is an area I want to, I need to focus more on. The layout of this book is also very "user friendly" as it includes reflection questions and practical steps for trying to instill the principles in my own life. This is such an amazing adult coloring book! The details and the variety of pictures in this book is wonderful. I could not wait to get started on the very first page, of course after I had looked through it start to finish checking out all the pictures and the text to go along with it as well. These pages all tell a sweet and whimsical story of a little girl distributing gifts around the world with the conductor on her toy train. I did not realize that this was a third book in a series, but I was thrilled with I read that and cannot wait to order the first two! This book will take hours to complete and will provide hours of smiles, relaxation and beauty. The pages are heavy weight and the details so intricate that I cannot wait to add color to each and every one. This would make an excellent gift as anyone is sure to love it! "Starving Hearts" immediately drew me into the story and transported me back in time and to England and the way of life centuries ago. Annette is struggled with nightmares and this is impacting her life in so many ways. I found myself empathizing with her, laughing, crying and hoping for the best for her. Peter is looking for a woman to be by his side, and has standards, but others think many would just be a fine, suitable match. As Annette and Peter's paths cross I loved their interactions and watching their friendship and relationship grow. They have to fight against their feelings, follow society rules and still try to find their heart's desire as well as God's will in their lives. This is a book that held my attention from start to finish with a sweet love story, a storyline involving mystery and the way of life in England in the late 1700's.